After years of being in the spotlight as one of the best foods you can eat, the American Heart Association recently put out a report indicating that coconut oil is bad for you and it has the health industry in a frenzy. The report cited the saturated fat in coconut oil as the culprit and warned people to stay away. But the type of fat found in coconut oil is different from other sources and many health professionals are stepping up to set the record straight. Here is the verdict on the the superfood’s health benefits and why you should still continue to use it, especially if you’re on the low carb high fat keto diet. For decades, there has been confusion about fat and whether or not it’s good for your heart. The media has told us to stay away from high fatty foods because they will make you fat. One thing you should know is that fat doesn’t make you fat, nor does it contribute to your risk of certain diseases. In fact, the fats found in coconut oil may even keep your heart healthy. The American Heart Association made everyone question fat again when it stated that the saturated fat in coconut oil is bad for you. According to the report, saturated fat increases the risk of cardiovascular disease by raising LDL or “bad” cholesterol (1). Additionally, the report indicated that 82% of the fat found in coconut oil is saturated and exceeds the amount in other “unhealthy” foods such as butter, pork lard, and beef fat. But what the study doesn’t mention is that the type of fat found in coconut oil is unique from other types and may actually prevent certain risk factors that hurt your heart, such as obesity and diabetes (2). The claim that saturated fat increases your risk of harmful cholesterol is also untrue. What the report failed to mention is that there are several types of cholesterol and not all of them are bad for you. Most people are aware that there are two types of cholesterol: good (HDL) and bad (LDL). But research shows that there are more than two types of cholesterol, and the source from which you get your cholesterol matters (3). Further evidence shows that the saturated fat in coconut oil lowers cholesterol and triglyceride counts. In other words, not all LDL cholesterol is bad for you and lowering your LDL cholesterol may actually increase your risk of heart disease. There is also no evidence to support that saturated fat increases the risk of stroke either (4, 5, 6). On the other hand, research supports a high fat and low carbohydrate diet for optimal heart health because it reduces the size of LDL cholesterol, making them less likely to accumulate to your arteries and block blood flow. Diets that are high in carbohydrates and low in fat increase the risk of metabolic syndrome, which puts you at a higher risk for cardiovascular disease (7). What Are Medium Chain Fatty Acids And How Are They Different From Other Fats? The type of fats that the American Heart Association recommended in their report are all wrong. In place of coconut oil, the report recommends eating vegetable oils such as canola and other processed types that have been linked to cancer, inflammation, and other diseases. Replacing coconut oil with vegetable oil is not a good idea because of its effect on the body. Coconut oil contains medium chain fatty acids, which are processed in the body much differently than the long-chain fatty acids in vegetable oils such as soybean and cottonseed oils. They consist of a fatty acid chain that is much shorter than long-chain fatty acids, making them easier to break down. 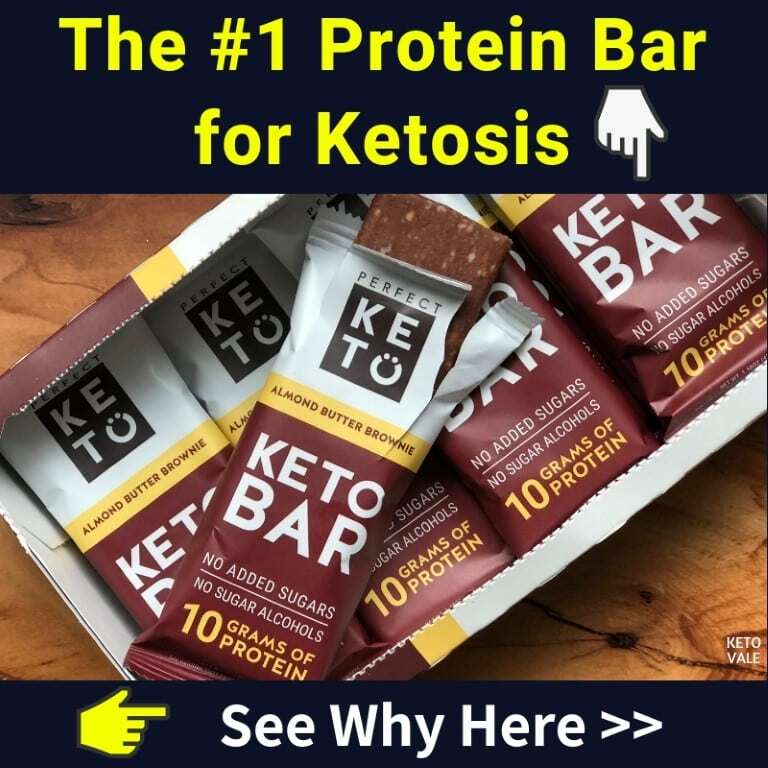 Unlike long-chain fatty acids, medium chain fatty acids are sent straight to the liver where they are immediately processed for energy use and not stored as fat which is why MCT is one of the best fats for keto diet. 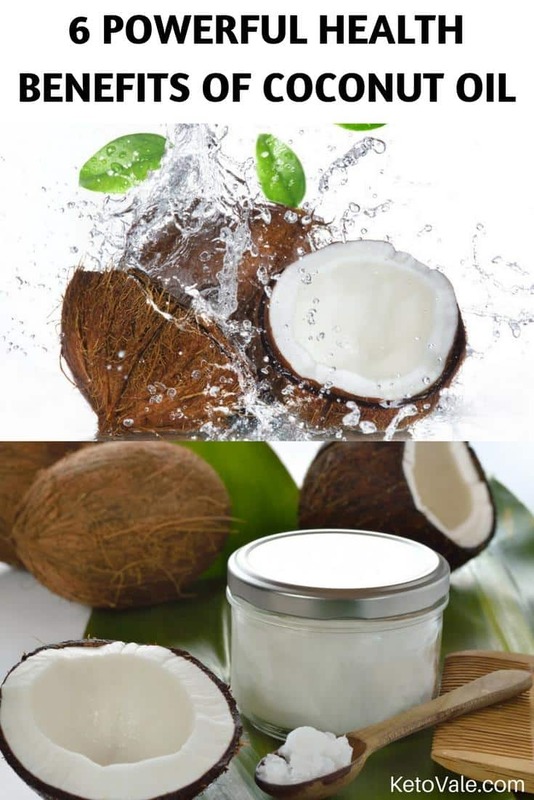 The studies from International Journal of Obesity and Related Metabolic Disorders and The Obesity Research found that long-term consumption of MCTs (such as coconut oil fat) prevents long-term weight gain and obesity and stimulates weight loss because the MCT oils increase energy expenditure and fat oxidation and result in greater loss of fat tissue (8, 9). 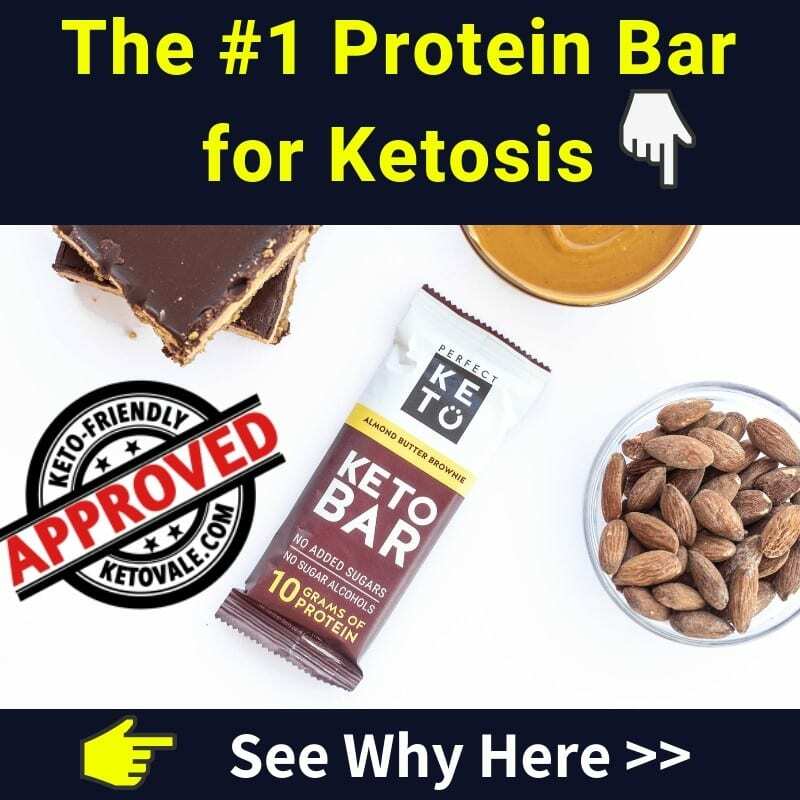 Medium chain fatty acids that are not instantly used as fuel are turned into ketones, which are fatty acids that can cross the blood-brain barrier to energize brain cells. The ugly truth behind vegetable oils is that they are not safe to use. Although they contain the word “vegetable” in them, they are far from good for you. In fact, there is not much that is natural about vegetable oil and most types are highly processed. Processed vegetable oils such as canola, corn, soybean, cottonseed and safflower oils contain large amounts of omega 6 fatty acids. Not to be confused with the anti-inflammatory omega 3 fatty acids, omega 6 is a type of fat that causes harm when eaten in excess. With the exception of healthy vegetable oils such as olive and coconut oil, vegetable oils increase inflammation and affect the immune system. They can even cause DNA damage and contribute to chronic inflammation, which is the root of all disease (10, 11, 12). Finally, processed oils are loaded with trans fats, which are highly dangerous to the heart. Trans fats are linked to an increased risk of obesity, heart disease, cancer and diabetes (13, 14, 15). When it comes to avoiding fat in the name of keeping your heart healthy, trans fats and not saturated fats are the ones to look out for. You’ll find processed vegetable oils in many packaged foods that contain refined carbohydrates, such as granola bars, baked goods and sweet, and in many oils that restaurants use. The worst part about the report against coconut oil is that it doesn’t mention all the reasons why you should eat it. 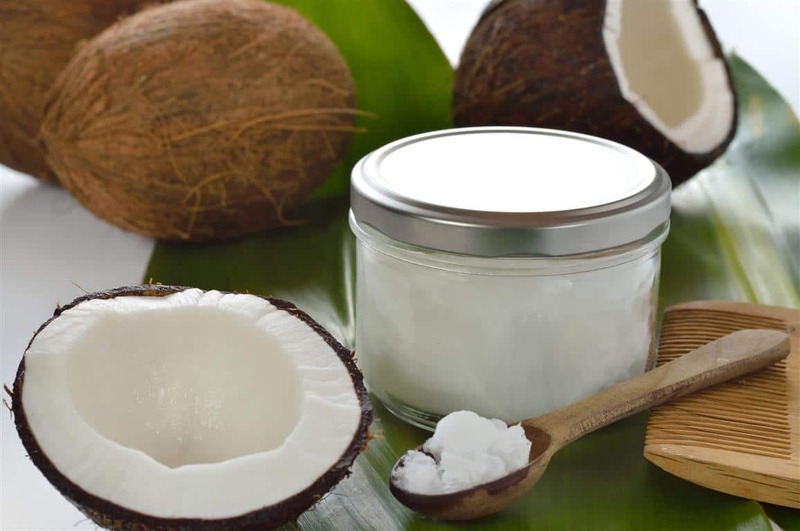 Along with the misinformation about saturated fat being bad for your heart, the report did not include that coconut oil has been proven to help you lose weight, age gracefully, control your appetite, and prevent heart disease and other disorders, among many other benefits (16). Coconut oil is extremely effective for helping you lose weight, especially in the abdominal region (17). There are three primary ways that medium chain fatty acids help you lose weight. First, they are lower in calories than long chain fatty acids (8.3 calories per gram in coconut oil versus 9 calories per gram in vegetable oil), making them a healthier alternative for those looking to keep an eye on their waistline (18). Next, they have fat burning properties that boost metabolism (long chain fatty acids don’t) (19). Lastly, they are sent right to the liver once consumed where they are immediately used as energy. Plus, they have the ability to cross over the blood-brain barrier where they can fuel brain cells and protect against DNA damage. Only a very small percentage is stored in the body as fat. 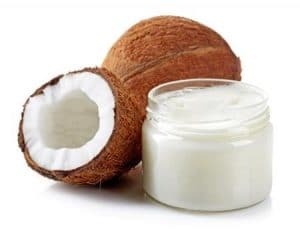 An interesting study published in the Journal of Lipids in 2009 concluded that “the dietetic supplementation with coconut oil does not cause dyslipidemia but promote a reduction in abdominal obesity” (20). The clinical trial consisted of two randomized groups of women aged between 20-40 years old. Over 12-week period, one group received daily dietary supplements comprising of coconut oil and the other group received soy bean oil. The result was quite amazing. The coconut oil group had a decrease in abdominal fat and waist circumferences, while the soybean oil group actually showed an increase. Moreover, the coconut oil group also showed a higher level of good cholesterol (HDL) while the soybean oil group showed an increase in bad cholesterol (LDL). 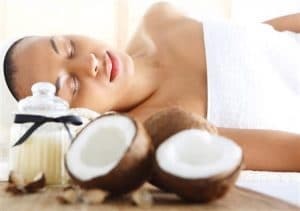 Coconut oil is great for anti-aging treatment because it improves antioxidant levels, reduces stress on the liver and other organs, and supports the natural detoxification process. Many people use coconut oil topically as a skin or hair ointment for its healing properties. When consumed, it can also heal the gut and improve digestive impairments, which is caused by oxidative stress and enhances the aging process (21). 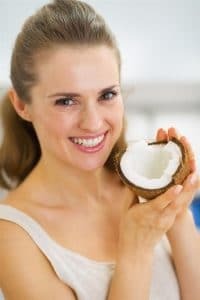 People on low carb or keto diet plans can benefit from eating coconut oil due to its ability to be converted into instant energy. Many endurance athletes use coconut oil in place of sugar-laden energy drinks to keep them going without inducing a sugar spike, but you don’t have to be an athlete to benefit from more energy. The increase in energy is due to medium chain fatty acid’s ability to be instantly converted into energy and not stored for later, like glucose can. Medium chain fatty acids are instantly metabolized into energy because they are able to penetrate into mitochondrial membranes without the presence of carnitine (unlike long chain fatty acids). This is because of their ability to rapidly be converted into ketones by the liver. Animal studies found that mice who were fed medium chain fatty acids outperformed mice that were fed long chain fatty acids. They also burned fat at a higher rate (22). Studies show that medium chain fatty acids suppress appetite to help prevent overeating. Since they are high in good fats and fiber, they also keep you feeling fuller for longer, which should help keep you satisfied until your next meal and prevent mindless snacking. One study found that when compared to a low or medium medium chain fatty acid diet, subjects on a high medium chain fatty acid diet ate fewer calories, which aided in their weight loss. This is largely due to the fullness you feel after eating a meal high in coconut oil without feeling stuffed (23). The good fats in coconut oil also help you absorb many important nutrients and fat-soluble vitamins to enhance the nutrition of the foods you eat it with. The Demographic Yearbook of the United Nations in 1978 reported that Sri Lanka, a country where coconut oil is the main dietary fat, has the lowest death rate from ischemic heart disease (24). What’s even more interesting is that after 1978, there was an ‘anti-saturated fat’ campaign and coconut consumption in Sri Lanka has dropped and people begun to eat more corn oil. As coconut consumption decreased, heart disease rates increased in Sri Lanka (25). Coconut oil has protective properties of the heart that were not noted in the report by the American Heart Association. Research shows that medium chain fatty acids have anti-coagulation properties that prevent atherosclerosis, which is a condition that causes the arteries to harden and leads to severe heart complications. Additionally, medium chain fatty acids reduce cholesterol levels in the tissues of liver and other organs. Coconut oil may also be used as part of a keto diet to prevent cancer. This is because tumor cells feed off glucose. Since coconut oil produces ketones in the body, tumor cells are not able to use it as a source of fuel. This prevents the tumor from growing and spreading to other parts of the body. Coconut oil also helps kill bacteria that is known to increase the risk of stomach cancer. It has been shown to prevent cancer from developing even in studies where cancer was chemically induced. Medium chain fatty acids have been shown to protect against metabolic diseases, such as hypertension, obesity, and diabetes. It has an antioxidant effect on the body to reduce free radical toxins and boost the immune system. It can also be used by people with diabetes to lower their blood sugar levels (26). If you have an autoimmune disorder, you might want to consider adding coconut oil to your diet. Aside from being high anti-inflammatory, medium chain fatty acids were found to have a positive effect on autoimmune characteristics. Coconut oil also has a protective effect on the brain to reduce the risk of dementia and other cognitive impairments. It can be used to treat Alzheimer’s disease, improve memory, reduce ADHD symptoms, and increase memory (27). Because there are many forms of coconut oil, it can be confusing to know which one is best. There are two main types of coconut oil to be aware of. Refined coconut oils are cheaper because they have been processed and are stripped of the majority of their health benefits. Virgin coconut oil has a light coconut aroma and taste. It contains all of the essential fatty acids and nutrients that will keep you health. Look for a coconut oil that is organic and cold pressed to ensure you’re getting all the nutrients it has to offer. Avoid overheating it during the cooking process as this will kill off its benefits. 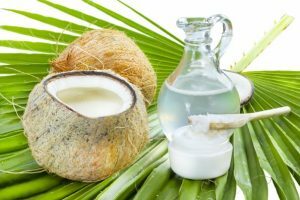 Coconut oil can also be added to topical skin or hair treatments, but again be sure you’re picking the right one. In most cases, you will get what you pay for in terms of quality. The takeaway message is not to judge a book by its cover. The fats in coconut oil are saturated, but that doesn’t mean they aren’t good for you. People who are looking to improve their heart health should take a good look at their sugar content because that’s where the true hazards are. Coconut oil has a wide range of health benefits that should not be ignored because of its high saturated fat content. Research shows that saturated fat may even protect against heart disease and has no negative impact on cholesterol levels. Be sure to pick a brand that is organic, virgin and unrefined to ensure you’re getting the best quality, and stay away from cheaply processed vegetable oils. Thanks so much for reading! Don’t forget to share this post to help others know the truth about coconut oil and its incredible health benefits. Pin this photo about coconut oil’s benefits for later reference!